This oval shaped taper candle holder is made of hammered tin. 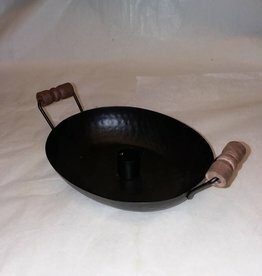 It Has 2 handles that are wood covered. 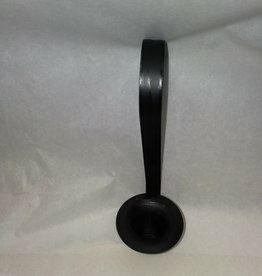 Designed for a taper candle (real or battery operated). c.1960. 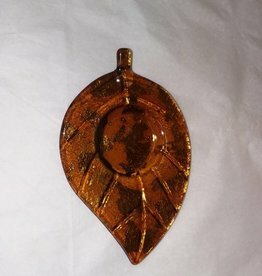 a beautifully crafted glass leaf shaped votive holder. Golden yellow color. 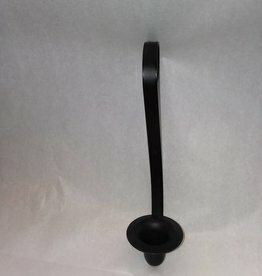 6 1/8" x 4 1/8"
This taper holder is designed to hang on a "mason" jar. It is 8.5" long. 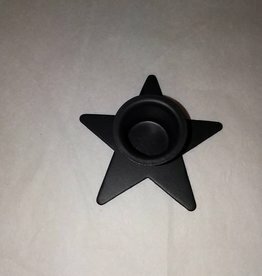 Can be used with either a real or battery operated taper candle. 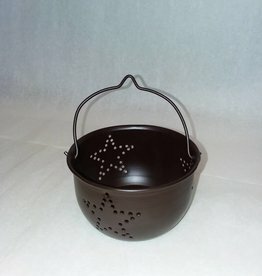 A small tin cauldron with stars punched into the sides. 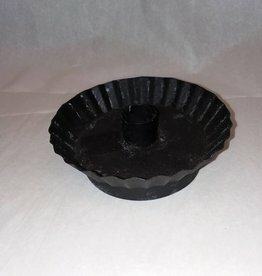 Designed as a tealight/votive holder. Can also be used to hold spare change, potpourri etc. 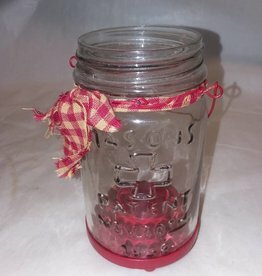 Small Tin Cauldron w/ Stars, 3.5"
Red base & wire hanger, holding a mason jar. 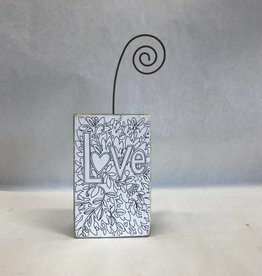 Designed to hold a votive candle.